I still remember the day when I witnessed the debate on “Do India has the potential to become Superpower by 2020.” I had attained many debates during my stay at IIT Delhi, but I clearly remember this debate just because of two things first Ravish Kumar and Second none other than AAP's Arvind Kejriwal. I had a soft corner for Arvind because he was also from IIT and more importantly he raised the same questions to the politicians I think I would have asked if given the opportunity. I thought him to be my proxy in the political world. Such infatuations towards him lead me to vote for AAP candidates thrice in the year (Twice for state assembly election and once for parliamentary election). My faith in him can be understood from the fact that I woke at 6 in morning joined other IIT junta to cast my vote to his proxy (Somnath Bharti). Waking up at 6 in the morning that too on a holiday signifies the faith I had in him. First time while casting my vote for Arvind, it felt as if my vote will revolutionize the politics of India. That whole day picture of ideal India occupied my mind. I could not concentrate on my studies as corruption-free Delhi, strong Lokpal, good conduct of civil servants etc. occupied my mind for the whole day. After election result when he formed the minority government, I knew to fulfill the promise he made during the election he has a tough road to tread. So when he resigned after 49 days I was supporting him and was determined to help him to get the majority so that he can materialize my dreams of utopian Delhi. I registered myself as voluntary to help the AAP to form a majority government in Delhi. The day election results were announced it felt as if whole Delhi wanted the government that can solve their problem. And it is here my love story with Arvind Kejriwal and AAP ended. Soon after forming the government they behaved like Janta Party that formed the government in the center after 1977 elections. Arvind Kejriwal who before the election had hard proofs against corrupt people and maintained the records of such people sounded like V.P Singh who coincidentally kept a dairy having names of corrupt people that he waved in his election rallies. Nothing happened as I imagined after AAP Party formed the government. Like BJP and Congress, he also spent unchecked on promotion and advertisement. The fight between senior leaders in AAP looked similar to Game of Thrones, but such things are inevitable among ambitious people. Now spell of Arvind Kejriwal is over and I reviewed past three years of politics without any biased it felt as if I had put too much faith in a leader who just wanted to achieve his goals. Realizing this Lalu Yadav, Mulayam Singh popped in my mind. Similar to Arvind these leaders were also a product of nationwide protest spearheaded by Jai Prakash Narayan. Like Mulayam has Lohiya, Arvind has Anna Hazare. The last nail in the coffin was Arvind’s support to Lalu. And with his this masterstroke I found myself completely free from Arvind-philia. What started four years back ended with deregistering me as voluntary from AAP Malviya Nagar because my MLA and a Dog are in Police custody. 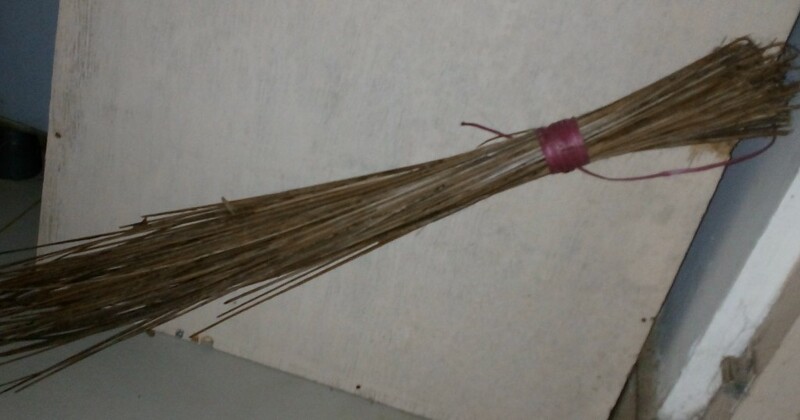 Now my Broom, which I thought one day be cleaning the India, is just used to clean my room. If you like it please recommend it to your friends too.